8” Plasma Ball Lamp Just $39.95! Down From $89! PLUS FREE Shipping! You are here: Home / Great Deals / Amazon Deals / 8” Plasma Ball Lamp Just $39.95! Down From $89! PLUS FREE Shipping! Head over to Amazon where you can score this 8″ Plasma Ball Lamp for just $39.95 down from $89 PLUS FREE shipping! This 8″ Plasma Ball Lamp is the perfect holiday or birthday gift for budding little scientists. 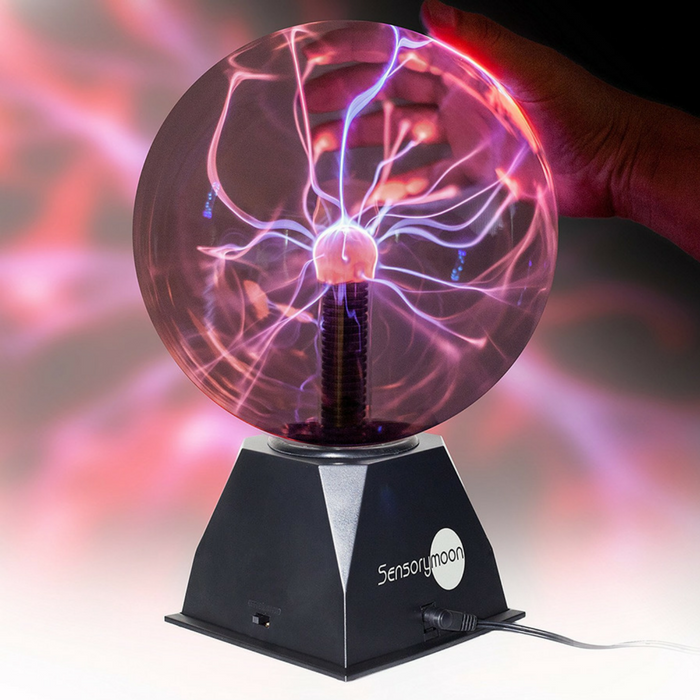 With a high quality hand blown glass sphere, a stylish black base, and a 3-foot long power cord, the Tesla coil ball generates harmless streams of glowing electricity that capture and hold the attention of anyone watching. The mesmerizing lightning tendrils dance inside the inert gas medium, taking on colorful shades of pink, purple, red, and blue and even brightening to follow the fingertips when the plasma globe is touched! The decorative plasma lamp also comes with a reactive audio setting that responds to loud sound or music, making a perfect addition for home entertainment or parties. Awesome! TRUE 8 INCH BALL DIAMETER FOR AN IMMERSIVE SENSORY EXPERIENCE. The first thing you’ll notice when you pull your new plasma ball lamp out of the box is how substantial it feels in your hands. That’s because unlike smaller electric globe toys, our large plasma dome light is designed to provide a highly visceral and interactive lighting experience – all at a price that doesn’t break the budget! “SPARK” YOUR STUDENTS’ INTEREST IN SCIENCE. Our plug operated lightning spheres uses a Tesla coil to generate a potential difference between it and the surrounding gas-filled globe. The result is a mesmerizing static electricity display that responds to both hand touch and speaker sound: and a fascinating way to demonstrate the concepts of voltage, current, and lightning without compromising anyone’s safety. THE PERFECT GIFT FOR CHILDREN OF ALL AGES. Finally, buy your kids or grandkids a gift they won’t turn off until their next birthday! Our nebula nightlight will make your little budding scientist the envy of all his or her friends. And since it’s backed with a 90-day unlimited warranty, you can feel at ease knowing you are purchasing one of the best static electricity orbs around.